55 Orange Road, Blayney T 02 6368 2438 nyree@caminka.com.au http://www.caminka.com.au Award winning, Internationally recognised Wiradjuri Visual Artist. 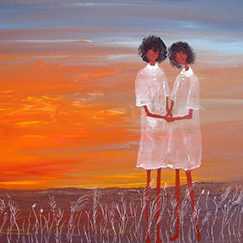 Specialising in Contemporary Aboriginal art, Wiradjuri Language and art workshops. 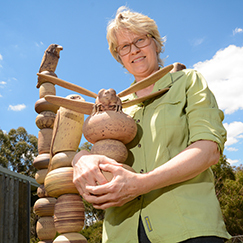 Nyree’s work features on the ‘Welcome to Wiradjuri Country’ tourism billboards located on the Mid Western Highway at Kings Plains and Lyndhurst and at the Blayney Multipurpose Health Service. 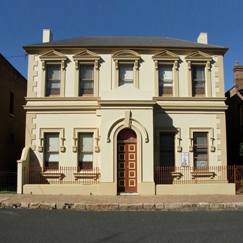 Contact: Margaret T 02 6367 3172 chmuseum@hotmail.com http://www.centralnswmuseums.com.au/wp/museums-2/carcoar-hospital-museum/ Located at 7 Eulamore Street, Carcoar. 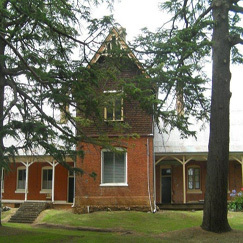 The Carcoar Hospital was one of the earliest colonial hospital buildings in Australia. 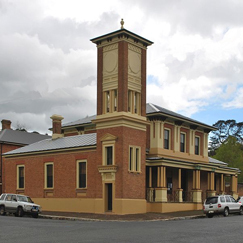 Built to the design of Architect Edward Gell, the foundation stone was laid in 1860, funded by community fundraising with Government Assistance at a cost of £2,400. Open by appointment or as advertised. Icely Street, Carcoar – within the historic Court House T 0468 341 661 info@carcoarpottery.com.au http://www.carcoarpottery.com/ https://www.facebook.com/pages/Carcoar-Pottery/244810745565975?fref=ts Specialises in outdoor sculptures as well as domestic, ornamental and figurative pottery. Totems to birdbaths, platters to pendants, mugs to casseroles and a menagerie of animals. Icely Street, Carcoar NSW 2791 T 02 6367 3149 Located in the School of Arts building in Icely Street, in what used to be the projectionist’s room when a cinema, is a collection of war memorabillia. The collection is managed by the Lyndhurst RSL Sub-Branch. Open by appointment, please phone. 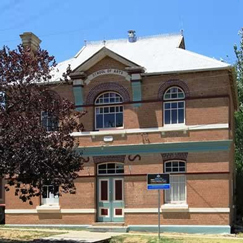 T 02 6367 4155 - Carl Purcell http://www.centralnswmuseums.com.au/wp/museums-2/carcoar-court-house/ Built in 1882 and designed by the Government architect James Barnet, the Carcoar Courthouse replaced one designed by Edmund Blackett. The current courthouse ceased operation in the 1950s and became the headquarters of the local historical society in 1994. 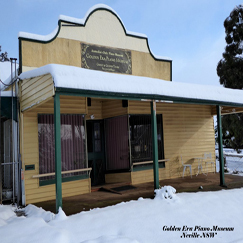 A display of photographs and historical items is on public view on weekends, public holidays or by appointment. Cnr. Naylor Street and Stoke Lane, Carcoar NSW 2791 T 02 6367 3173 One of the oldest buildings in Carcoar, Stoke Stable was built from random stone in the 1840's by convicts as an outbuilding for the nearby Stoke Hotel. 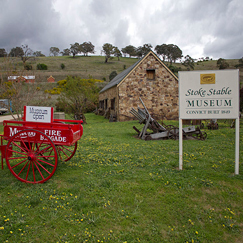 Today it houses an interesting collection of items related to Carcoar's past. The display is on public view on most days. 5 Belubula Street, Carcoar NSW 2791 T 02 6367 3274 The Toy Museum is located in the old CBC bank building and houses a collection of over 2000 toys in the five downstairs rooms that used to comprise the Banking Chamber and associated offices.The collection spans the era from the First World War right through to modern times - from Betty Boop, Dan Dare and Sad Sack to the Simpsons, Japanese Anime and Mr Blobby. 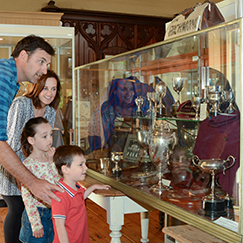 The Museum is open 11am to 5pm Wednesday to Sunday during the Spring and Autumn tourist seasons.